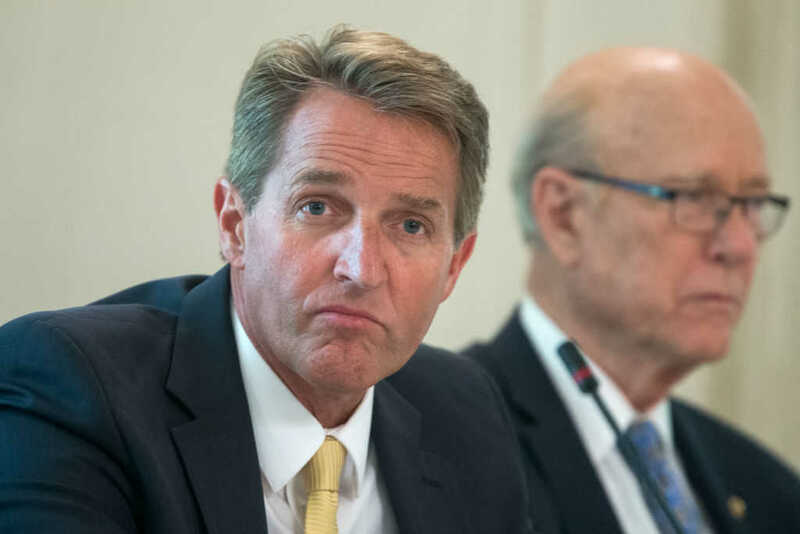 Sen. Jeff Flake (R-Ariz.) announced on Tuesday that he won’t be running for re-election next year and took to the U.S. Senate floor to issue some strong rebukes of President Donald Trump and the current state of political affairs. READ: Can You Be Good Without God? Flake warned in his speech that “children are watching” and told President Donald Trump that he has had “enough” of his behavior, fervently pushing back against Trump’s rhetoric since assuming office. And Flake wasn’t done there. “Reckless, outrageous and undignified behavior [has become excused as simply] ‘telling it like it is’ when it is actually just reckless, outrageous and undignified,” Flake added. Flake also questioned whether Republicans would accept similar behaviors from Democrats.